What's New in URI Chinese? : Join Dr. Vivian Ling for a Flagship Lecture on 11/19 @ 4 PM! 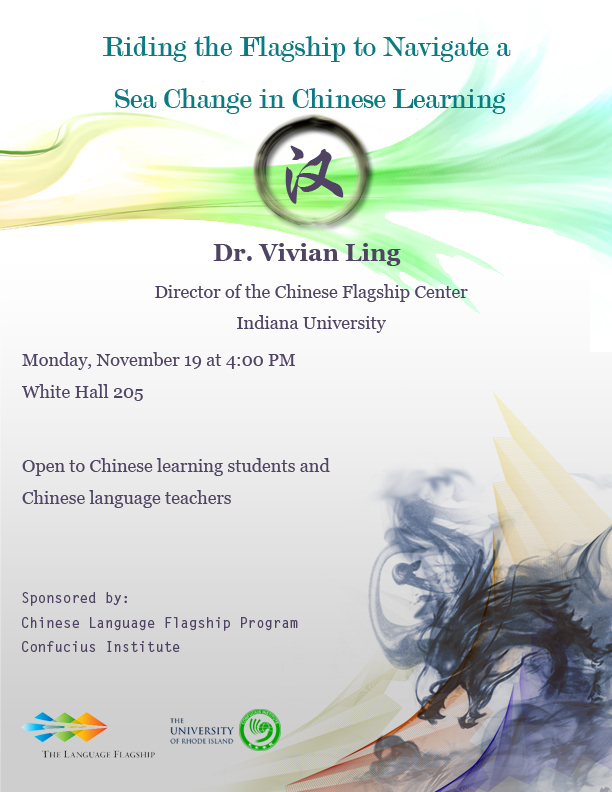 Join Dr. Vivian Ling for a Flagship Lecture on 11/19 @ 4 PM!